Goatman researcher J. Nathan Couch talks about the strange legends and chilling encounters with the strangest creature roaming the backwoods of America. Goatman: Flesh or Folklore? author J. Nathan Couch. Photo by John Ehlke. 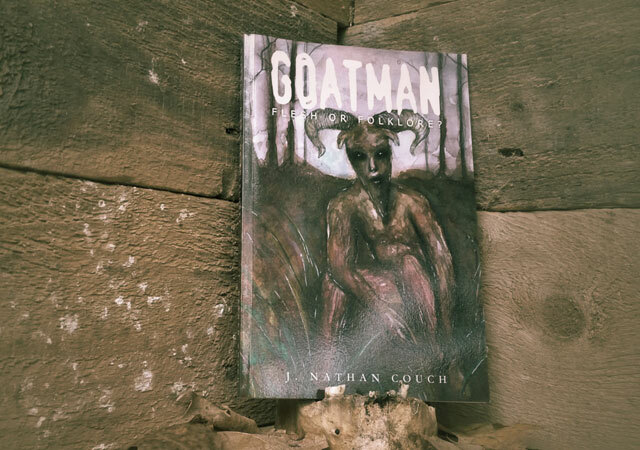 A few years ago when Cult of Weird contributor J. Nathan Couch announced the subject of his second book was going to be the bizarre and elusive Goatman, I had no idea how many states across the US had a campfire legend about the menacing creature. 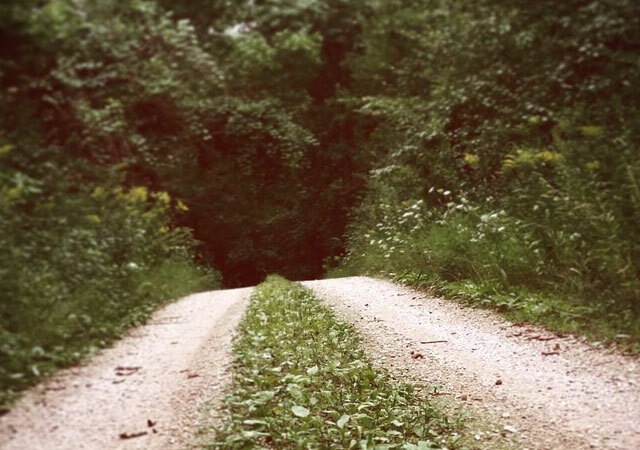 It was not a story limited solely to the weird back roads of Wisconsin. According to a frenzy of recent sightings in three states, it seems there could even be a goatman lurking in the woods near you. But what, exactly, is this reclusive cryptid with an insatiable murderous appetite for young lovers and wayward travelers? Well, it’s stranger than any of the other beasts roaming the forests of North America, and according to Couch, this legend has actually killed some people. Cult of Weird: What prompted you to begin researching goatman legends? J. Nathan Couch: I was initially attracted to it because of just how strange it is. Even compared to subjects like Bigfoot sightings, ghostly manifestations, and alien abductions, it’s exceedingly bizarre. The idea of something resembling a mythological Greek satyr running around the outskirts of Midwestern American civilization is mind boggling. 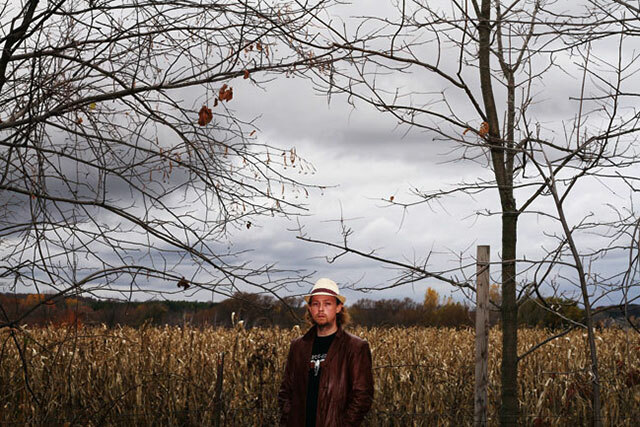 What really prompted me to research the subject in great detail was when I interviewed a gentleman from West Bend, Wisconsin, named Jason Miller. Several years back, Miller was bow hunting for Deer in early autumn, when he saw, heard, even smelled a creature he described as Goatman near the little town of Kewaskum, Wisconsin. The idea that even one human being had encountered such an entity made me immediately want to know everything there was to know on the subject. I quickly realized that similar legends and sightings were occurring all over the country, and had been since the 1800s. Since Goatman: Flesh or Folklore? has been published, even more legends and sightings have been brought to my attention. Where are some of the significant legends around the US? The three locations around the United States with the most famous Goatman legends or sightings is Bowie, Maryland just outside of Washington, D.C., Louisville, Kentucky, and Fort Worth, Texas. All are unique and infamous for various reasons. Bowie’s legend is the first one that drew national attention. Various stories about the creature skulking around houses and murdering household pets made newspapers all over America. It is also the version of the creature which is most often featured in pop culture. The Goatman of Bowie has been in films, comic books, and television shows. Louisville’s monster is unique in that it supposedly uses supernatural powers to lure people to their deaths. It supposedly coaxes people out onto a deadly railroad trestle, causing them to be killed by trains. While the creature’s existence hasn’t been proven, several people have met their doom by venturing onto the enormous, deadly structure. 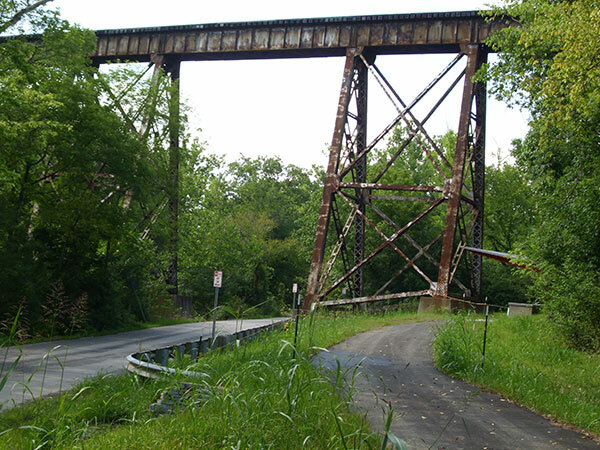 The Pope Lick train trestle in Lousiville, Kentucky, home of the Pope Lick monster. Fort Worth’s Goatman is unique in that literally dozens of people–at the same time–witnessed this creature as it tossed a car wheel some 500 feet down a ridge near Lake Worth. The screams of the creature even sent Fort Worth police cowering to their squad cars. Of course, legends exist in many other states including Wisconsin, California, Michigan and several others. Many sightings even occur where there is no established history of a Goatman legend. Cult of Weird headquarters is uniquely positioned between two prominent Wisconsin goatman legends. Tell me about those. The first Wisconsin legend involves Hogsback Road, a treacherous road located near Holy Hill Basilica in Hubertus, Wisconsin. 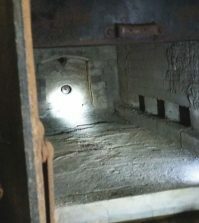 They say the creature debuted there in the 1870s by murdering a Civil War veteran who’d ventured off into the night looking for help when his wagon wheel splintered. 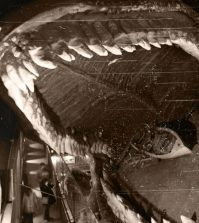 The story is very folkloric, and probably not true, but sightings of the creature have been reported by very credible witnesses in recent years. Allegedly, the creature runs out in front of your car trying to run motorists off the road for an easy kill. Interestingly enough, most witnesses in this area do see the creature as it dashes into the path of their vehicle. The second legend exists in Kewaskum, Wisconsin. Supposedly an abusive old drunk murdered his wife, but was ultimately killed by one of his goats as he continued his rampage. They say he returned as a goatlike apparition, and haunts the woods where he lived. This is the area where Jason Miller claims to have witnessed a goatlike biped. S Mill Rd, also known as Goatman Road, in Kewaskum, Wisconsin. When you conduct the Downtown West Bend [Wisconsin] Ghost Walks, people will often share their own experiences with you afterward. Has Goatman ever come up? 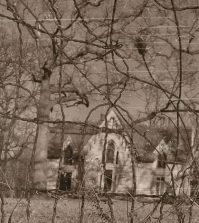 Once last year an older couple approached me after the rest of the tour patrons had left, and told me of a sighting that occurred at their home in Southern Kewaskum. The man was up early in the morning, rummaging around in his kitchen. He heard gunshots outside. 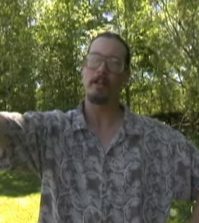 He lived in a heavily wooded area and assumed it was his neighbors shooting at coyotes. He looked out his window expecting to see a pack of the animals running along the snow mobile trail in his backyard, but saw something completely unexpected. He saw a creature running extremely fast, and extremely well in very deep snow. It was bipedal, covered in shaggy grey-brown fur, and strangest of all, it’s head was shaped like a horse! It jumped a very high snowdrift and fled into the woods. In your research, have you found any evidence that seems to support the stories? I haven’t done a lot of field research. I’m more of a reclusive introvert sort of writer. But I do plan to change that soon. As soon as hunting season ends I’d like to get out in the Kettle Moraine Forest here in Wisconsin, and try and find physical evidence. 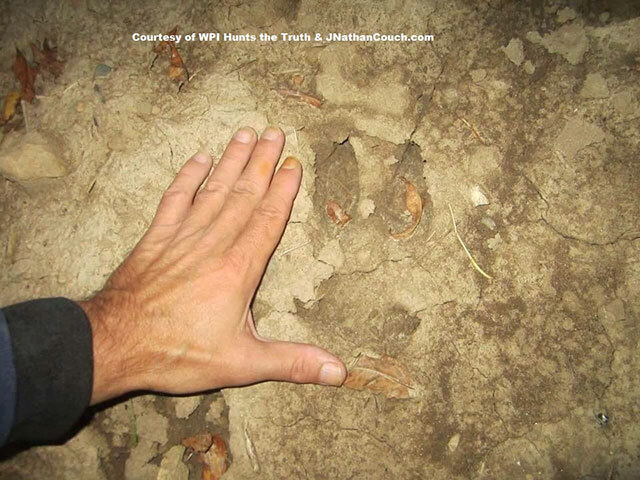 A local investigation group by the name of WPI Hunts the Truth was recently sent a photograph of an enormous hoof print the size of a grown man’s hand, from Oak Creek near Milwaukee. Perhaps it’s the distorted print of a large deer, but it could be something else. The jury is still out. Goatman hoof print? Photo courtesy of WPI Hunts the Truth. What do you believe is the likely origin of Goatman lore? The legends of Goatman probably originated from sightings of a depression era vagabond named Charles “Goatman” McCarthy. He was an eccentric, bearded Christian preacher that roamed America for decades, pulled along in a rickety wagon by a team of Goats. In several cases, I’ve found that McCarthy visited various locations where Goatman monster legends would eventually exist. He was a celebrity during his day, with his travels regularly covered by the Associated Press. His travels attracted large groups of curiosity seekers. Stories of McCarthy could have mutated over the decades. As for what sort of creature eyewitnesses are allegedly seeing, given the creatures’ tendencies to display seemingly supernatural abilities, and their uncanny knack for avoiding human beings when they apparently live on the outskirts of suburbia, I’d say they have to be some sort of paranormal entity rather than flesh and blood. Goatman: Flesh or Folklore? is available on Amazon.